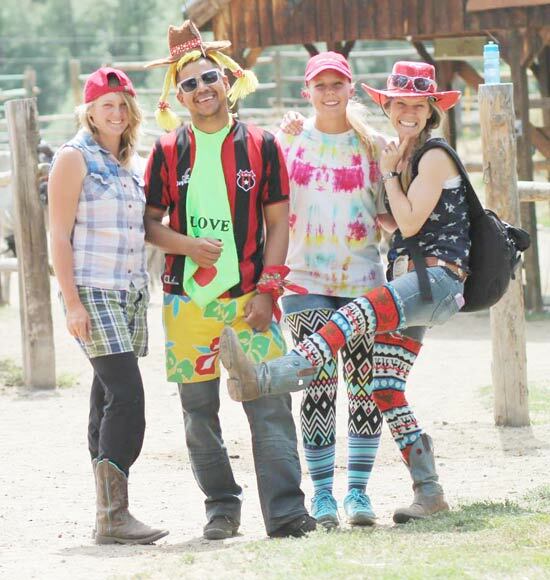 Experience an All Inclusive Colorado Vacation at Our Dude Ranch! 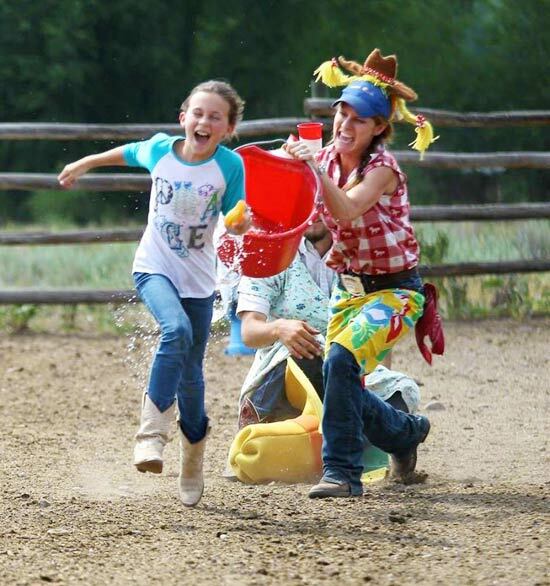 When you're ready to escape for your Rocky Mountain getaway, we're ready to show you the true meaning of Western hospitality, and all that's included in an all inclusive Colorado vacation at our guest ranch. From the moment you drive in under the ranch archway, you'll be welcomed as family and it's our highest priority to be sure every guest is individually satisfied. Check out what’s included in our all-inclusive rate and please let us know if you have any additional questions, we'd love to answer them! 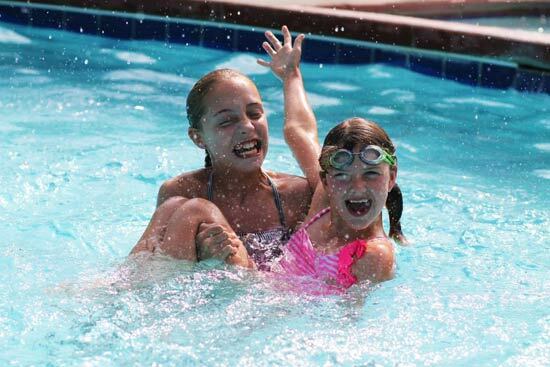 What Comes with Our All Inclusive Colorado Vacation Experience? 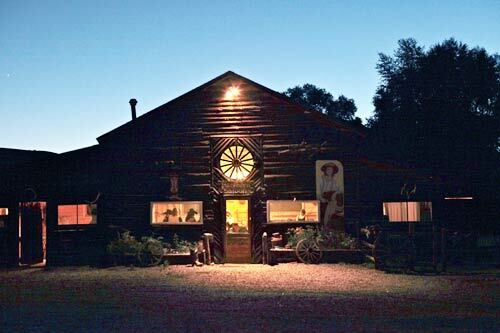 Bar Lazy J's unique location makes it the ONLY guest ranch where the Colorado River flows just a stone's throw away. Fall asleep to the sounds of the water in the evening right out your window or take in the serene view as you enjoy a cup of morning coffee on your porch. 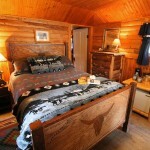 Each of our cabins feature beautiful furnishings and one-of-a-kind handmade beds. Although you likely won't be spending much time in your rooms with all that's available to you, we recognize the importance of comfortable beds and soft linens after a long day of outdoor adventures. 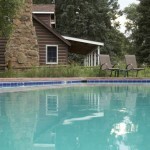 View our Cabins and Ranch House. When the ranch bell rings, Chef Eddie serves up cowboy-sized portions of delicious home-style foods. 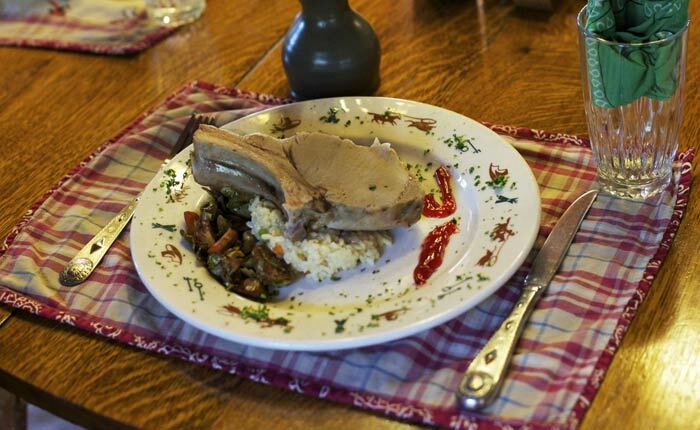 No one goes hungry around here and we can easily accommodate any dietary needs or restrictions. Daily specials and a wide variety of offerings ensure there's plenty to choose from for everyone in the family. Fresh baked breads, homemade desserts, stunning salads and delicious entrees are our ranch’s signature. And no one forgets to stop by our bottomless cookie box! 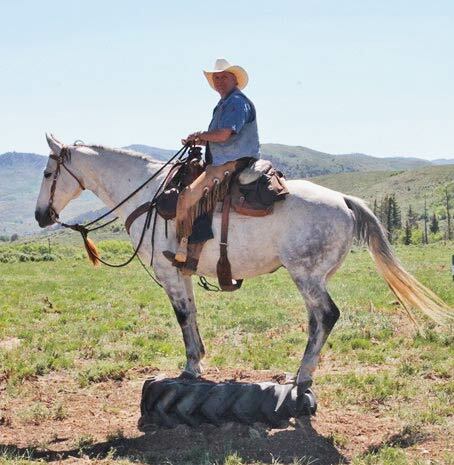 The Bar Lazy J Guest Ranch maintains a herd of over 100 horses, which accommodates all levels of riding abilities for your whole group or family. 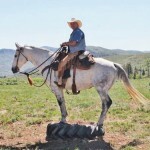 In addition to daily scenic, moderate, and adventure rides, we also offer a number of "specialty" rides throughout the week including, but not limited to: trotting and loping clinics, all-day rides, high country rides to the higher peaks, our delicious breakfast ride, a horse and rider challenge course and a Hot Springs ride to go soak! Just remember, your suitcase must be big enough to fit your horse when you want to take it home! 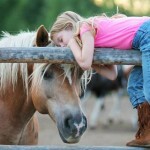 Explore more about our horseback riding opportunities. 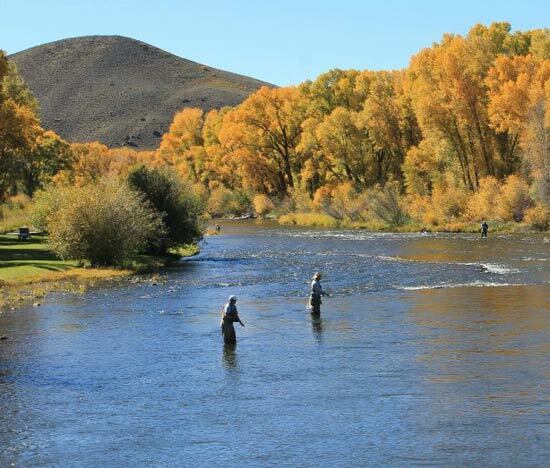 With the Colorado River right in your backyard, you’ll have the exclusive opportunity to fish our desirable Gold Medal waters here along our private 3/4 mile stretch of the river. Monday we offer expert instruction with fly fishing tips for our "catch and release" portion of the river, and with the river just seconds from your cabin, you'll love the convenience of being able to get in some casting time at any time throughout the week. Waders, nets and rods are available as part of your all-inclusive rate. Be sure to bring your camera, so you’ll have proof of your fish stories! 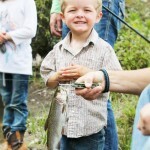 Learn more about our excellent fishing opportunities! 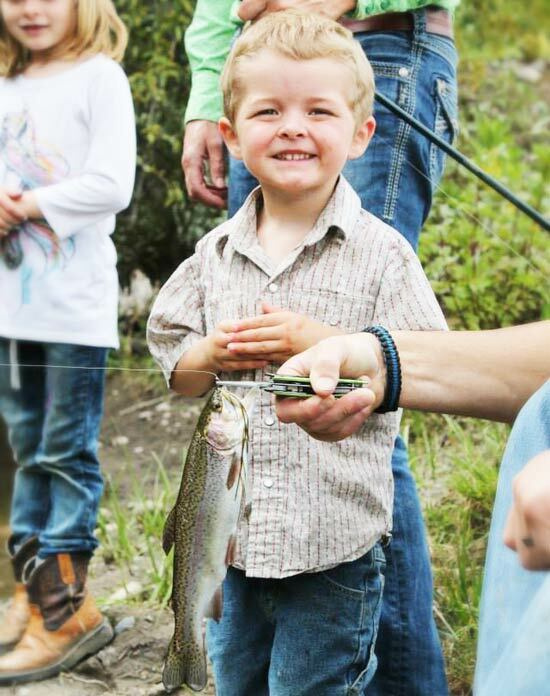 While the river is catch and release, when you’re ready to nab one for supper, head to our stocked trout pond with one of our provided rods and reels and Chef Eddie will happily fix it up one night for you or the kiddos! Dig up some worms for the full experience or use our provided bait-- either way, a little bit of patience reaps some big awards at the trout pond every year. 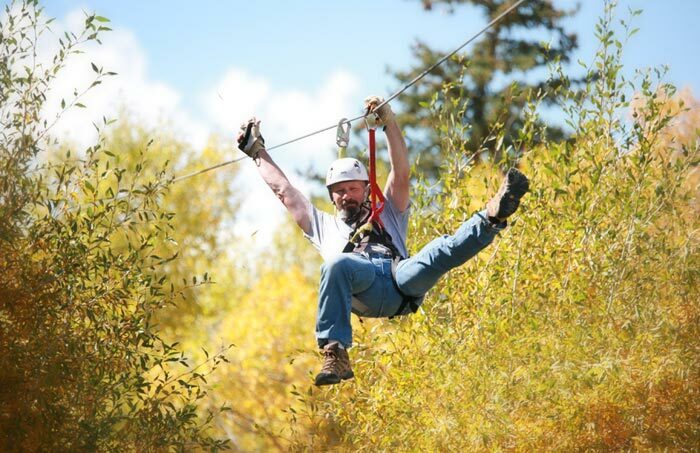 In August of 2012, the ranch added a new activity for the thrill-seekers in the family with our Colorado River Zip Line. One of the longest in the state, this new attraction is fast and fun. Experience the mountain air a bit differently while zipping over the one and only Colorado River. See it for yourself! 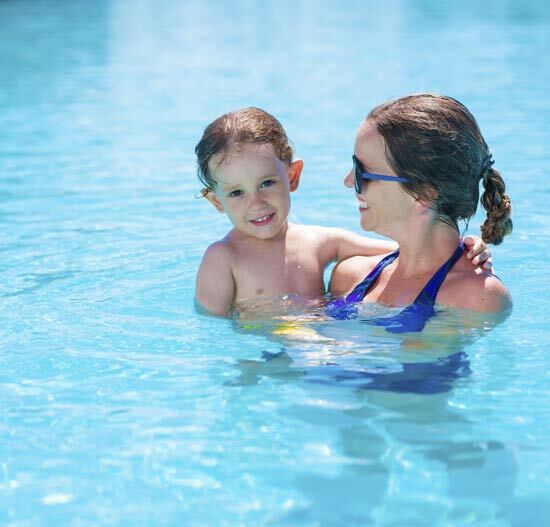 We believe a family vacation means lots of time together AND lots of time to do what YOU want to do most. 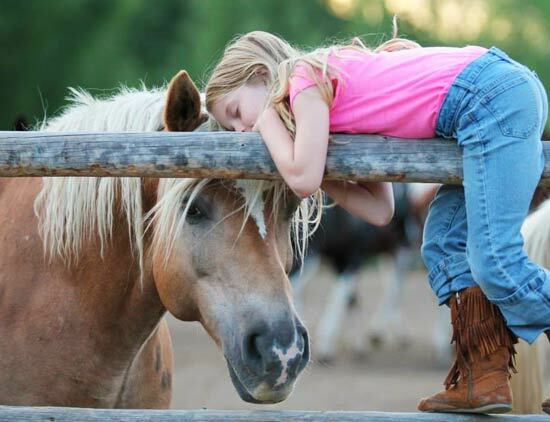 In our Ranch Kids’ Program, ages 3-12 will get to enjoy the ranch the “kid way” with many opportunities to expand their horsemanship skills, learn some cowboy/cowgirl trades and soak up a multitude of hands-on experiences they’ll be talking about for years to come. Allow us to show them they can easily go a week without electronics! Our program is flexible and parent-friendly so please come join us for rides, archery, games, or any of our awesome planned adventures! Check out more details about our #1 Kid’s Program! 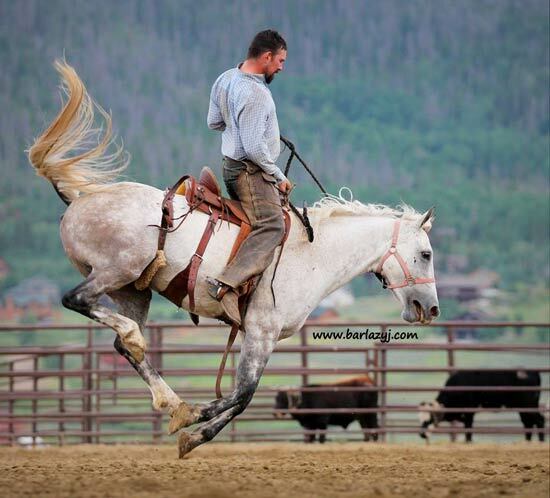 Improve your horsemanship skills while building your horse’s confidence in himself and in you. 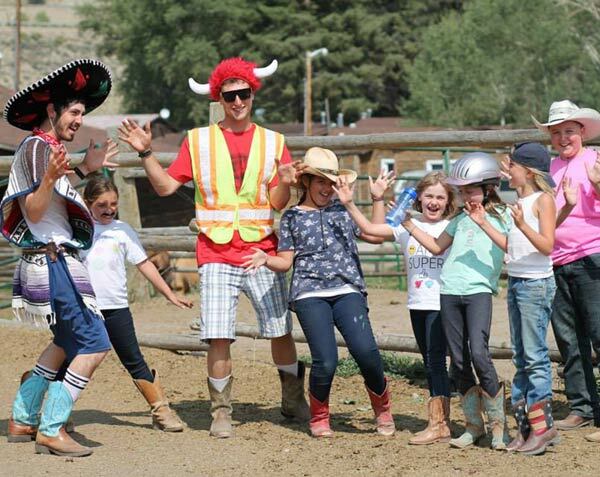 You’ll use training techniques, guided by our wranglers, to work through obstacles designed to mentally challenge your trusty steed. Learn how your horse learns and make the most of your relationship together by building your trust in one another. No matter what your riding ability, this is a fun opportunity to improve your skills—a ranch favorite with our guests! 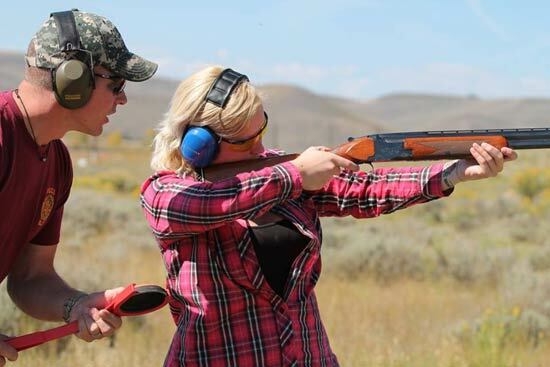 Head out to the shooting range with your friends and family and try your hand at clay pigeon shooting. We supply the shotguns, safety equipment and ammunition. No matter your previous experience, our knowledgeable Firearms Instructor will give you expert tips to make the most of your session. This has quickly become another ranch favorite! 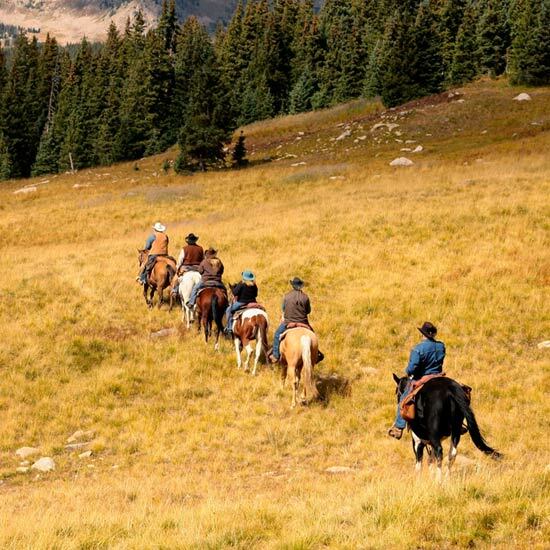 Trade in your saddle one morning or afternoon for a simple, yet gorgeous, Colorado hike. Experience the wildflowers and wildlife, stretch your legs and enjoy the incredible vistas during one of these educational tours during your stay. 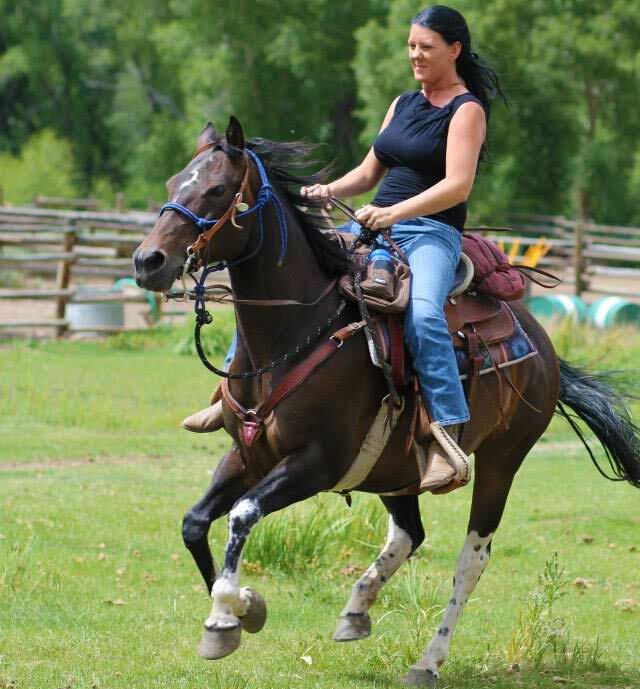 Ranch owner Cheri Helmicki leads the way! Climb aboard one of our mountain bikes for a quiet ride through the Colorado Rocky Mountains. There are plenty of trails we're happy to direct you towards and helmets are available. You can even see which of your friends pulls their weight on our tandem mountain bike! It's sure to bring some laughs! 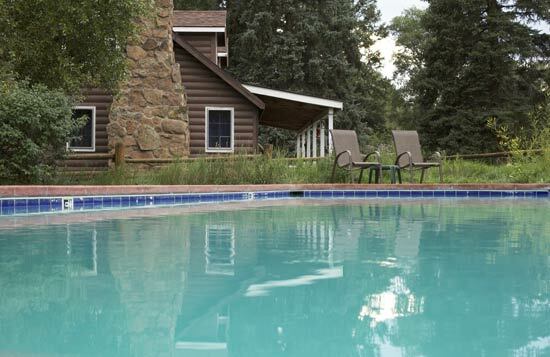 Soak up the Colorado sun and marvel at the endless blue sky by our in-ground, heated 20x40 pool. 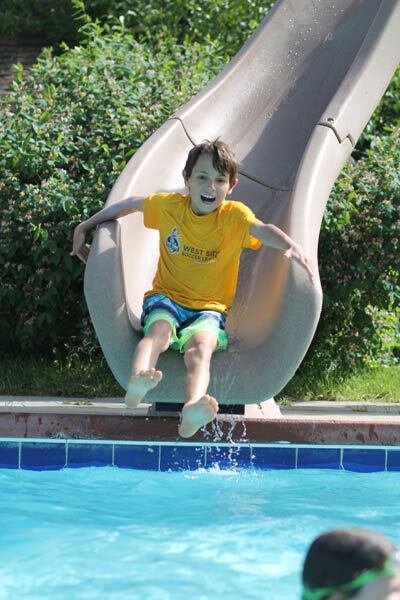 Whether you choose to relax, take a rejuvenating dip, challenge your family to a game, or make a big splash with a run down our Cyclone waterslide, the pool is a welcomed refresher after some time on the trail! Let a hot soak and forceful jets work out the kinks and soothe your muscles after another great day. Our large hot tub, set in an open cabana, is the perfect place to lean back, relax with a cool beverage and marvel at the number of stars you can see in the Colorado night sky. 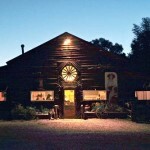 Our barn is always open for shuffleboard, ping-pong, air hockey, foosball and other games. 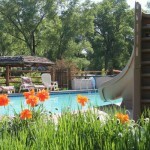 Or hit up the volleyball/badmitton court and our horseshoe pit located closer to the lodge. Tuesday – A night with wildlife! Nature's Educators brings Colorado native ambassadors to teach about our wildlife neighbors here in the mountains. 3:00 - Check-in begins! 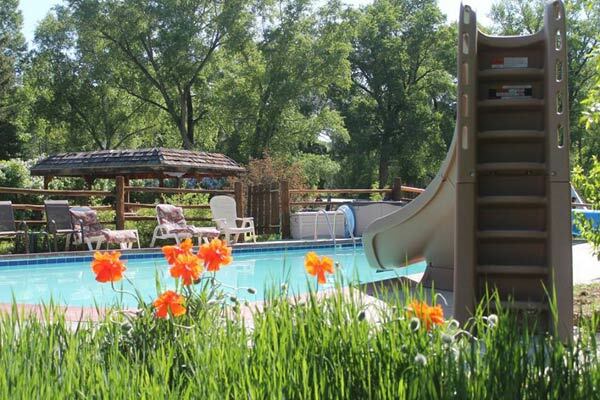 Get settled in and enjoy a tour around the ranch. 5:30 - Wranglers herd the horses into the ranch. Join us at the end of the driveway to watch! 6:00 - Orientation Dinner with Jerry and Cheri in the Main Lodge Dining Room. 7:30 - Meet your Horse. 8am - Breakfast made-to-order in the Dining Room. 8:45 - Kid's Program Orientation with kids and parents on patio by the bell. 9:15 - Kids go with counselors while parents prepare for rides. Adult Riding Orientation for new guests. 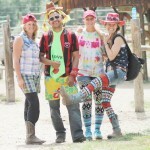 9:30 - Adult Riding Orientation with Jerry by Rec Barn. 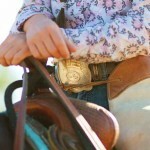 10:00 - Morning Orientation Ride- Get to know your horse! 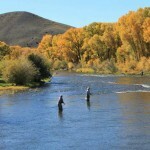 11:30 - Fly Fishing Clinic in front of cabins on the river. NOON - Pick up kids for lunch. 12:30 - Lunch! On the river porch. 1:30 - Drop off kids for more Kids Program adventures! 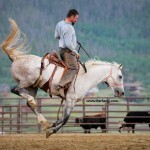 2:00-4:30 - Scenic Ride, Horsemanship Class, Loping Instruction. 5:00 - Pick up kids at pool. Cocktail party begins in front of Main Lodge. Appetizers will be served. 6:00 - Steak Dinner cookout. 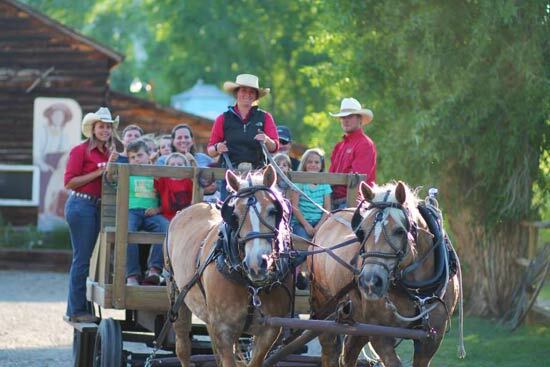 7:00 - Horse drawn wagon rides. 8am - Breakfast made-to-order in Dining room. 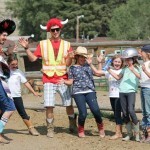 9:00 - Drop off kids for Kids Program activities. 9:15-11:45 - Scenic, Moderate or Adventure Rides, Trapshooting, Challenge Course, Loping Instruction. 2:00 - 4:30 – Scenic, Moderate or Adventure Rides, Trap shooting, Guided Hike. 5:00 - Pick up kids from pool. 5:30 - Appetizers served. Bring your own cocktails! 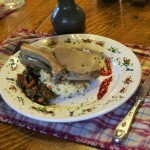 6:00 - Sit-down dinner in Lodge. 7:30am - Light breakfast items available in Dining room. 8:15 - Family photos and mount up for Breakfast Ride. 9:45 - Arrive at Breakfast Site for breakfast cooked over the fire. 10:30 - Scenic, Moderate of Adventure Rides back to the ranch OR Extended Lunch Ride. 1:00pm - Pick up kids after rides. 1:30 - Light Lunch in Dining room. Free Afternoon or Zip-Lining (If all of family is zip-lining, please notify a counselor you will need someone to watch kids). 6:00 - Hamburger Cookout on the River Porch. 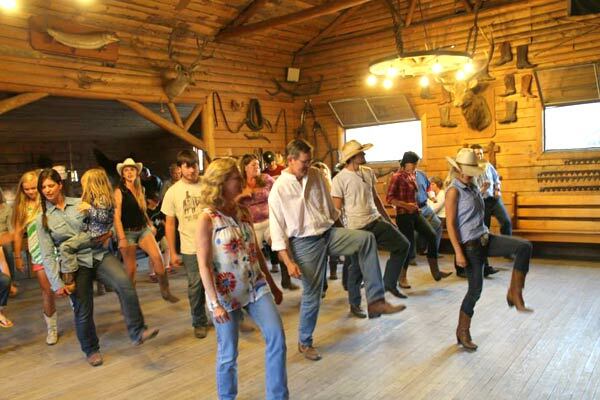 7:30 - Dancing in Rec Barn. 7:30am - Early breakfast for rafters. 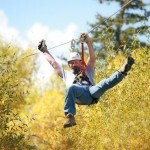 9:15-11:45 - Scenic, Moderate or Adventure Rides, High Country Ride (all day), Challenge Course. 12:30 - Lunch on River Porch. 2:00-4:30 - Afternoon Scenic, Moderate or Adventure Rides. 7:00 - Photographer photos for purchase in Dining room. 7:30 - Kids leave on Hay Ride for Pow Wow. 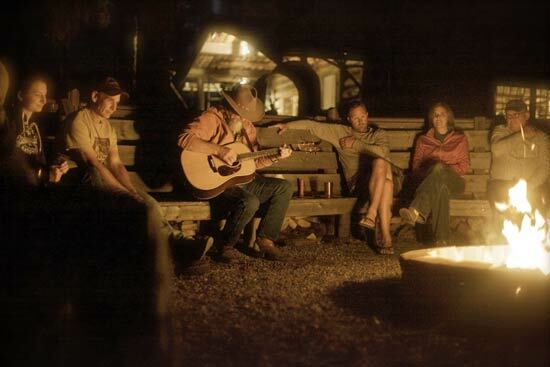 8:00 - Adult Campfire and Entertainment. 8am - Breakfast made-to-order in dining room. Make lunches for all-day ride/Hot Springs ride. 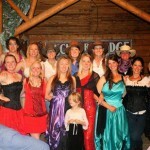 9:30-12:00 - Scenic, moderate or adventure rides/Hot Springs Ride/Kid's All-Day Ride. 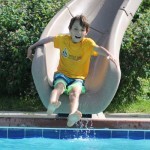 NOON - Pick up kids for lunch (3-6 year olds) ** Unless you will be on an All-Day Ride. Counselors will watch kids over lunch. 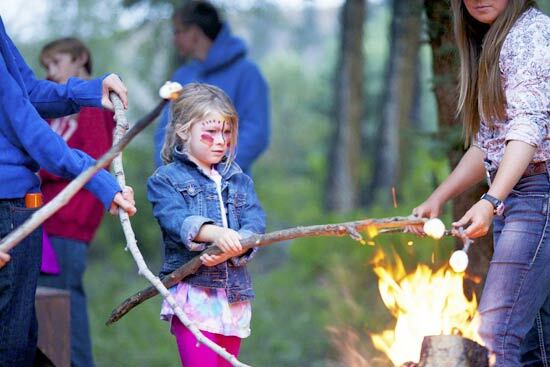 1:30 - Drop off kids (3-6 year olds) for more Kids Program adventures! 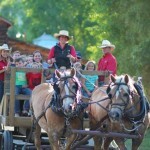 2:00-4:30 Afternoon Scenic, Moderate or Adventure Rides (Kids arrive back at ranch and have other planned activities). 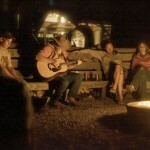 6:00 - Adult Dinner in Lodge/Kid's Pizza Party on the River Porch. 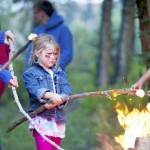 9:15-11:45 - Scenic, Moderate or Adventure Rides, Bush-wacking Ride, Kid's Root Beer Float Ride OR Guided Hike with Cheri. 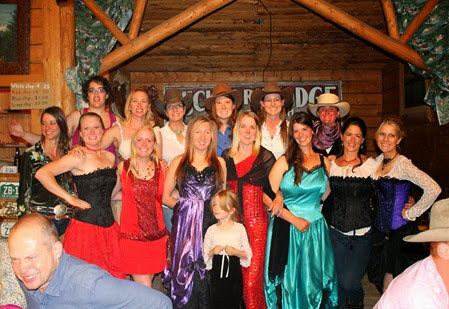 2:00-4:30 - Afternoon Scenic, Moderate or Adventure Rides - (2:30) Wild West Showdown. 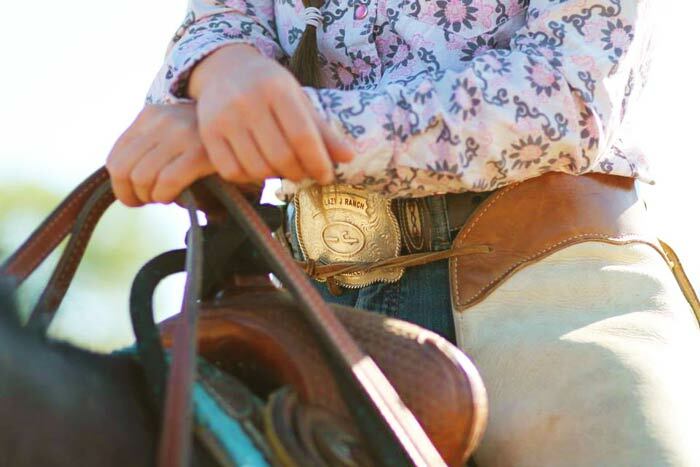 4:30 - Kids' Horsemanship Awards and refreshments on River Porch. 5:30 - Early Dinner Rib Cookout and Ice Cream Buffet. 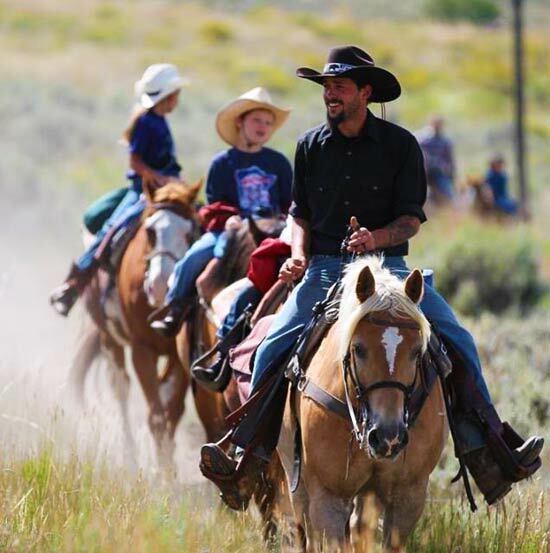 Rodeo or Free Evening: Swim, Pack, Relax, Visit, On-Ranch Activities.